Dental cleanings (scaling and polishing) are targeted to remove heavy deposits of plaque and tartar formed over the teeth. The professional dental cleaning procedure is usually referred to as prophylaxis (or prophy), with Greek meaning- “to prevent beforehand”. Here, it implies in preventing gum disease. The teeth are continually washed in saliva. The saliva in the mouth contains calcium and other such substances. Although saliva strengthens and protects the teeth, but eventually forms large calcium deposits on the teeth. Since it has the same colour of the tooth, it is often mistaken to be a part of the teeth. Sometimes, brown or black colour are also observed. If scale or calculus (tartar) deposits are built, then teeth and gums become easily exposed to bacteria. In order to avoid this, regular cleaning and polishing of teeth surface is recommended. This enables the teeth to remain clean and smooth, and thus the bacterial attack is prevented. Apart from this, a lovely and smooth feeling is experienced when tongue passes through the teeth. Ultrasonic instrument is the first and the most popular cleaning instrument. It involves tickling vibrations to break down large tartar pieces. In order to wash away the debris and maintain a proper temperature, a cooling mist of water is sprayed over the region. Typically, a humming or high pitched whistling sound is emitted by the cleaning device. Inside the head, the sound usually gets amplified, giving out a louder sound. The ultrasonic instrument has curves and round tips. These are always kept moving around the teeth. Since the instrument only tends to knock down tartar deposits so sharp tips are not required. The operator can adjust the device settings appropriately or even do pressure modification if too strong or ticklish sensations are felt. The duration for the cleaning procedure varies according to the quantity of plague hardened on the teeth. However, future cleanings will not take too much of the time. Fine hand tools (scalers and curettes) are approached after the large pieces of tartar are knocked out. These tools are useful to remove remaining small deposits along with smoothening the surface of the tooth. In order to match the curves of the teeth, the tools are properly curved and shaped. Mild to gentle pressure is applied over the teeth surface to remove small tartar deposits. Polishing is done after the teeth surfaces are made smooth. A slow speed handpiece along with a spinning soft rubber cup is used in this procedure. Inside the cup, a special gritty toothpaste-like material, called prophylaxis paste, is scooped. This paste is spun around the teeth to provide and shiny and smooth teeth appearance. The final part of dental cleaning is applying fluoride on the teeth. Fluoride is available in a variety of flavors such as mint, cherry, chocolate, etc. Small, flexible foam trays are used to place the fluoride foam or gel. The tray is then placed over the tooth surface for about 30 seconds. Later, the patient is directed to spit out the gel into a saliva ejector. The acid from the bacteria in the dental tartar and plaque weakens the tooth surface. Fluoride helps to restore the strength of the teeth. After the fluoride is applied, it is advised not to take food items or rinse for atleast 30 minutes. 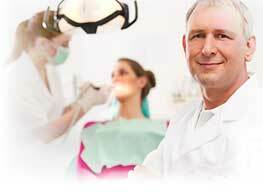 The dental cleaning is doubtless a painless procedure. The individual experiences no sort of discomfort because of different sensations like tickling vibrations, the cooling mist of water, and the pressure. Most of the people report cleaning as an enjoyable process. Some odd zingy sensations of nanosecond duration may be experienced. In case, any discomfort occurs, let your dentist get to know about it as early as possible. Various options can be recommended by the dentist. A number of factors like a rough dentist, exposed dentine, or sore gum tissues, can cause cleaning to become painful. If gum tissues are sensitive, then topical numbing gel can be used to avoid any discomfort.